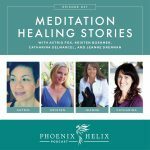 In every podcast episode, I ask my guests to share their personal healing story before we dive into the podcast topic, but there's something especially inspiring about the episodes that are dedicated 100% to healing stories. This is the third such episode, and they remain some of the most popular podcasts to date. In the introduction to every podcast, I say this: “While there is no cure for autoimmune disease, the choices we make every day can have a powerful impact on how we feel.” That's what reversing autoimmune disease is all about: taking our health into our own hands, reducing our symptoms and reclaiming abilities we thought we had lost forever. 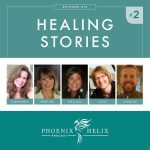 Today, I interview five people, each with a different autoimmune disease than those shared in the other Healing Stories podcasts: Episode 1 and Episode 14. When it comes to reversing autoimmune disease, there is no one definition of success. Some people have achieved a medication-free remission. Others have reduced their medication substantially. Most importantly, everyone has reduced their symptoms and reclaimed vitality and joy in living. We celebrate every healing journey. Her symptoms included cold/white/numb fingers, muscle weakness body-wide, difficulty with stairs, repetitive falls, and difficulty swallowing. Her immune system was attacking her muscles, organs, connective tissue and skin body-wide. It took her 5 years to get an accurate diagnosis. Her primary doctor told her to stop researching her symptoms on the internet and to trust him that nothing was wrong. She finally went to the Medical College of Wisconsin, and they diagnosed her very quickly. Medication helped her symptoms, but after a while, she started researching alternatives, with the goal of reducing or eliminating her medication. 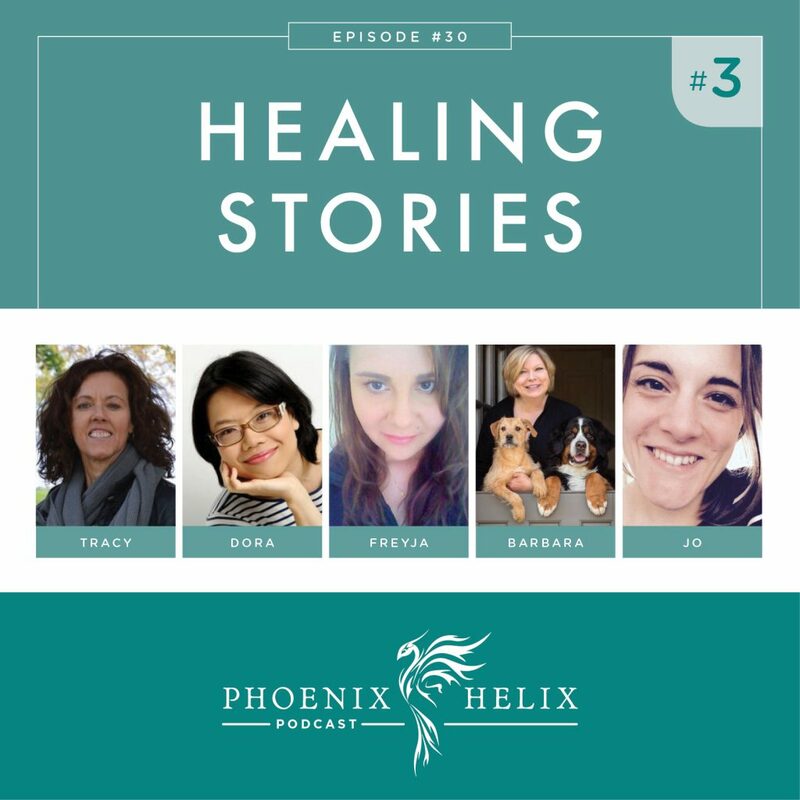 She found Terry Wahls' Ted Talk and the Phoenix Helix blog, and changed her diet in January 2014. Now, she has energy and strength again. She's golfing in tournaments, is a very active grandmother, works full-time, and swallows without difficulty. She's not 100% better, but life is full and fun again. At diagnosis, Tracy's CPK enzymes were elevated to 5800. Normal is below 180. She was put on prednisone, methotrexate and CellCept, and that number dropped down into the one thousand range but it plateaued there. When she started the paleo autoimmune protocol (AIP), her numbers dropped into the normal range. She is now medication-free. Update 2017: Tracy did decide to go back on medication. She feels healthiest using a combination of diet, lifestyle and medicine. Update 2019: Tracy now has a blog called Healing Autoimmune Disease with Faith, Food & Support. At her worst, she had psoriasis rash patches body-wide, including her face, ears and scalp, so they were impossible to hide and hard on her self-esteem. She was 15 years old when they first appeared, and while her friends were wearing make-up and dying their hair, she was told to avoid those things. It was very isolating. She also had a lot of anxiety, which made the psoriasis worse, as well as digestive issues: chronic indigestion and heartburn. She had psoriasis for 25 years before she started the AIP in 2013. In the past, she had tried steroid creams and prescription shampoos, without success. The AIP was the first thing that made a positive difference. She felt better emotionally and digestively before she noticed improvements at the skin level. It was a full year before she saw dramatic healing in her psoriasis. However, because she felt better on the inside, she knew she was on the right track. Now, her psoriasis is 95% healed, with only one small patch remaining under her eyebrow. Her anxiety is also gone, as are her digestive issues. Stress management was the biggest key to her healing. When her stress is managed, she finds the diet easier to follow, and sleep comes easier as well. Yoga is her favorite method of reducing stress. Sugar is also a big trigger for her – even natural sugars allowed on the paleo diet can cause her psoriasis to flare. Jo's article: How to Deal with Sugar Cravings. 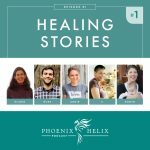 Jo is the author of the blog Comfort Bites and has written an article on her best tips for psoriasis healing. Dora Siah has Grave's Disease. Graves disease causes hyperthyroidism (overproduction of thyroid hormones). The symptoms that led to Dora's diagnosis were over-perspiration, hand tremors, a rapid heartbeat (she felt like she'd returned from a run even when she was sitting still), and feeling “jittery” all the time. She declined the option of radioactive iodine therapy (where the thyroid is intentionally destroyed). Instead, she was prescribed two medications: a beta-blocker and a thyroid-suppressing hormone. She tried going off the drugs 3 times, and her symptoms always returned. Now, she's been on the AIP for 16 months and is currently reintroducing foods. She combined medication plus diet for the first year. A goiter that didn't respond to the medication disappeared after 2 weeks on the AIP. That spurred her to continue. Her metabolism is now much better controlled. She has occasional mini flares, but nothing debilitating. The lifestyle measure that's made the biggest difference for her is Simplicity Parenting. 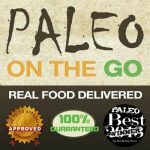 Dora is the author of the blog Provincial Paleo which specializes in AIP re-creations of traditional Chinese foods. Dora's favorite recipe is Red Cooked Pork (Hong Shao Rou). Uveitis is an autoimmune inflammation in the eye which can cause severe pain, but Freyja didn't experience any symptoms – her eye doctor discovered the inflammation during a routine exam. Because the condition can lead to blindness, treatment was started immediately. She was prescribed oral steroids for 6 months which had no effect on the inflammation. She then received steroid injections directly into the eye, which also had no effect. Her doctor then wanted to put her on immunosuppressant medication. Freyja didn't want to go on stronger medication, so she started the paleo autoimmune protocol. When she returned to the doctor 3 months later, the inflammation was gone. Ironically, the doctor attributed the success to the steroids “kicking in” even though she had stopped taking them a year earlier. After that appointment, Freyja ate whatever she wanted for a week as a “reward” for making it through 3 months of strict AIP. Her body immediately let her know that was a mistake. She experienced headaches, fatigue and flu-like symptoms followed by a return to chronic back pain that she didn't realize had disappeared on the AIP. She also developed a rash on her arms and knees that took 4 weeks back on AIP to resolve. This was the proof she needed to realize that the AIP wasn't a temporary diet for her. Barbara Breitsameter has Parkinson's Disease. While Parkinson's isn't an autoimmune disease, its progressive nature has many similarities. At her worst, Barbara had severe tremors, difficulty walking, she lost her ability to write and had to close her business as a professional photographer. Daily life became very challenging, and her husband had to help her tie her shoes. It was actually her primary care physician who recommended The Wahls Protocol. The doctor was actually following it for her own health. Barbara was skeptical at first but trusted her doctor, so decided to buy the book and give it a try. Within a month on Wahls Paleo, her tremors started to reduce, she had an easier time walking, and daily tasks became easier as well. Within two months, she went to see her neurologist who reduced her medication. After 14 months on Wahls Paleo, her medication has been reduced by 50%, and her neurologist said she is the first Parkinson's patient she has ever had whose symptoms improved instead of worsened. Her neurologist is now researching The Wahls Protocol. Barbara's stamina has also returned, and she's back to work again as a professional photographer. Over the holidays, someone brought Christmas cookies into her home, which Barbara found too tempting to resist. The result of eating them was an increase in her Parkinson's symptoms. This reinforced the power of the Wahls Paleo diet, and she learned that certain foods must simply stay out of her house, so she's not tempted to go off-diet again.